DTH services have come a far way from what they were at the time they were introduced. Pausing live shows, recording them, had made TV so much more fun for the addicts. There are some couch bags who just can’t do without the television set. To add to their luxury, and to own revenue models, Tata Sky+ has a new cookie in the store. Now you can ‘record, transfer, carry’ with new Tata Sky+ Transfer to allow customers to view their favourite content on their smartphones without any data usage. Tata boasts about it being the first of its kind in Asia, and with the rising mobile market, this seems to be a good move. This service’s main target point is to let people watch TV on the go on their smartphone. No data spending is the merriest part for those who act real stingy when it comes to data usage. This step just takes the usual TV recording system to the next level, by giving one the power to transfer. The company has also come up with some really cool promotional clips created by Oglivy and Mather to popularize this service. Recorded Content transfer with a Wi-Fi dongle. Content can be streamed from the Tata Sky+ Transfer (STB) to the smartphones over Wi-Fi network that connects the two. Subscribers can either ‘Watch Now’ or ‘Transfer’ and view anytime, anywhere. Using the Tata Sky+ Transfer, the users will be able to avail the ‘Transfer’ pack free of cost by simply clicking on the ‘Transfer’ tab on the Tata Sky mobile App. 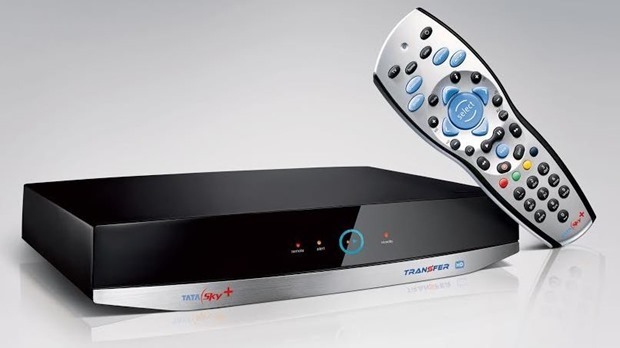 Available nationally, the path breaking ‘Tata Sky+ Transfer’ box is offered at Rs. 9300 and all existing subscribers can upgrade with a reduced fee of Rs. 7890. And we thought Internet was taking the world away from the idiot box, but no, now the idiot box will come down to your phones, it’s not getting away that easy. "The New Tata Sky+ Transfer STB Allows You To Record & Watch TV Shows On Smartphones Without Any Data Usage", 5 out of 5 based on 1 ratings.